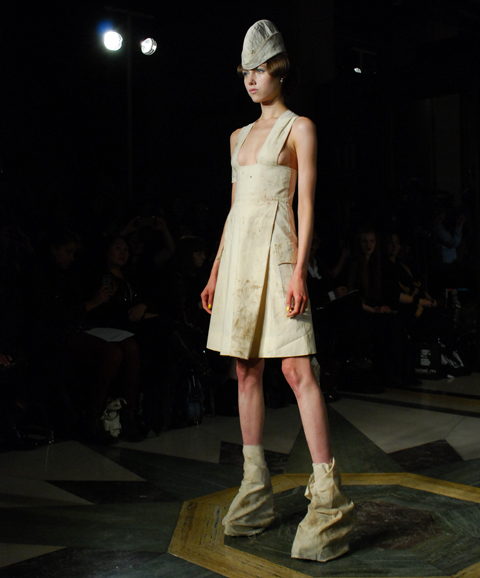 On Monday 16th September 2013 Pam Hogg showcased her S/S 2014 collection at Freemasons' Hall. As always, she offered us a theatrical spectacle which celebrated life's contradictions whilst steering well clear of commercial trends. We waited for almost an hour outside Freemasons’ Hall due to the usual buzz which surrounded the Pam Hogg S/S 2014 catwalk show at Fashion Scout during London Fashion Week. The rain came and went a few times - the opening and closing umbrellas not quite sheltering the fashionable kids queuing – but as ever it was worth the wait! Once inside, I squeezed tightly in between a lot of other keen bloggers at the photographers’ end and we all laughed and joked, merrily cooperating with each other in working out our collective positioning for optimum shots. Those in the front rows near us also seemed to be in great spirits, a few of them refreshingly slouching in their chairs and sporting messed up hair, torn jeans and casual wear. Central Saint Martins graduate and Merit Award winner Phoebe English showed her A/W 2012 collection on Friday 17th February. With latex, bursts of pink, and a continuation of her now signature craft for texture and construction, it made for a very worthy first solo show. 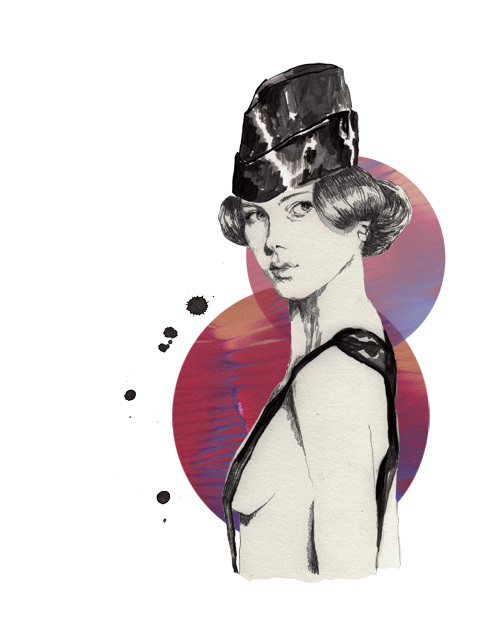 Jane Bowler is an innovative design graduate of the RCA. She showed a vibrant collection inspired by the story of Icarus at LSO St. Luke's on Sunday 18th September 2011 as part of Blow Presents. London Jewellery Week may be over but there's plenty of talent from Middlesex University that's here to stay. Watch out for names such as Jenny Konnaris, Kirstie Maclaren, Louise McKay and Kali Ratcliffe.